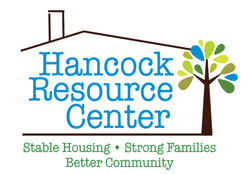 Hancock Resource Center served 1,319 families in 2012 with a total economic impact of $7,906,023 on the community. Over 8,600 hours of volunteer labor were coordinated through HRC in 2012, amounting to $115,954 in donated labor benefiting residents of Hancock County. · Hancock Resource Center provided construction management, volunteer coordination, and/or nonprofit funding to completely rebuild 8 homes and rehabilitate 6 homes in 2012, accomplished through partnerships with more than 20 other organizations, with a total economic impact of $1,955,582 for our county. · HRC provided pre-purchase counseling to 173 residents for the MyHomeMyCoast program and Bay Waveland Habitat for Humanity which resulted in 24 new homeowners in Hancock County, with an economic impact of $1,518,141. · Foreclosure prevention counseling was provided for over 400 families; 35 home foreclosures were prevented through this counseling. The value of the preserved homes is $4,313,565. · HRC provided Homebuyer’s Education, Post-Purchase, Money Smart, and Credit Repair classes/workshops to over 300 residents in Hancock County, affording them the opportunity to improve their financial standing. · Through the Mississippi Oil Spill Case Management Collaborative (MSOCC), HRC was able to assist 75 households totaling $63,670 in services. Also through this program 66 individuals received Career Skills counseling, with 40 percent of the participants obtaining continuing education and/or securing stable employment. · After Hurricane Isaac, HRC assisted area residents by counseling over 300 households, distributing Salvation Army food boxes, blue tarps, and cleaning kits. · The Transitional Housing Program for women affected by domestic violence assisted seven families with relocation/rental assistance, employment training, and transportation and childcare assistance, allowing them to move toward self-sufficiency. · HRC donated over 200 first aid kits to the tornado victims in Hattiesburg. · In partnership with Hope Haven, HRC provided coordination of The Salvation Army Angel Tree® program, serving 295 children in 143 families, with an economic impact of $32,400. · Seventeen Hancock County eighth graders graduated from the Hancock Youth Leadership Academy in 2012. · HRC employs 13 people; 12 live in Hancock County. · Emergency Solutions Grant, through the State of Mississippi, allows HRC to provide housing stabilization services (rental assistance, deposit assistance, educational training, financial literacy, etc.) to residents at risk of homelessness in Hancock County. · Supportive Services for Veteran Families, through the US Department of Veteran Affairs, allows HRC to provide housing stabilization and supportive services (rental assistance, case management and counseling, etc.) to Hancock County veterans and their families. · Through new partnerships with Federal Home Loan Bank and The First, HRC will provide home rehab and accessibility features for elderly and/or disabled homeowners. · Hancock Youth Leadership Academy, High School Program, selected its first class of participants to begin in January 2013 for a year-long program that promotes the development of character, courage, and service through civic commitment. For questions or information about HRC programs, please contact Rhonda Rhodes at rrhodes@hancockhrc.org or (228) 463-8887.